The primary purpose of the companion label is to close the communication loop, right at the point of delivery! More concealed damage claims are lost due to improper receiving procedures than any other reason. The three simple steps noted on the companion labels make sure your customer knows exactly what to do if the label is activated! 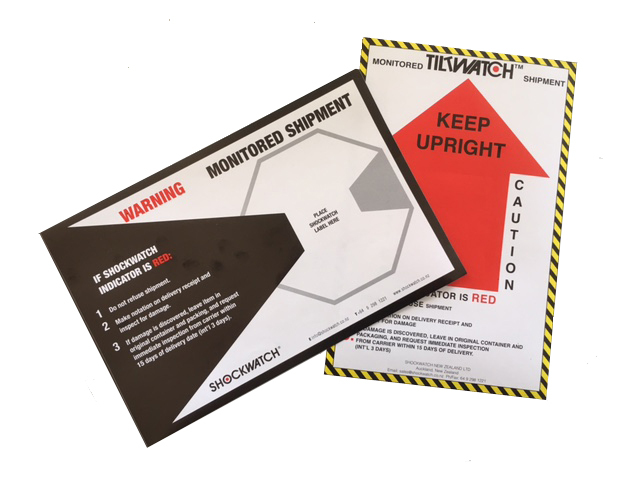 The Shockwatch® Companion Labels and Tiltwatch Companion Labels offer additional public relations benefits to your Loss Prevention Program. COMMUNICATES – Specific instructions to your customer should your shipment be mishandled in transit. ADDED VALUE – Provides a strong message to your customer that says WE CARE! PERCEIVED QUALITY – An additional statement that tells your customer that you are extending your quality control all the way to his door. CUSTOMER SATISFACTION – Reducing in transit damage will generate positive relations from your customer base. 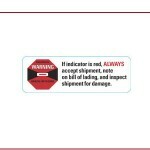 CARRIER AWARENESS – Highly visible label identifies those containers that DEMAND TLC.